My birthday is at the end September and so I’ve been thinking about what I want to do. The weeks before Jack’s birthday, I’m also in planning mode. I love planning special days and trips, and this process makes the build-up to the day seem like a celebration too. Not so for Jack. The thought of being responsible for planning and executing a special occasion is a daunting task for him. It isn’t fun. For years, I felt slighted by this. I took it personally and thought, “I go to all of this work for your birthday, (or Christmas, Valentine’s Day or whatever) and it seem like it’s a chore when you need to think about something for me. I failed to consider that often, when he did make plans, I didn’t like them and changed them anyway, (but feeling slighted never needs a logical reason to exist, so I felt quite justified in my displeasure with him). Last week we had a serious talk about our mutual lack of appreciation (for the part of each other that wasn’t like us). I wanted him to be more like me (while doing everything else) and he had the same feeling about me. We decided that over the next month, we would concentrate on what we appreciated about each other, and that we would not only silently acknowledge this, we’d say it too. Jack is great at taking care of the “infrastructure” of our home: mortgage, taxes, fuel, lights, garbage, lawn…he takes care of all of this, month in and month out. It isn’t the glitzy, exciting, new or fun things that he plans, but without his part, the glitz wouldn’t be happening either. It is the stuff that goes mostly unnoticed but as I tried to notice, and to tell him that I noticed and appreciated what he was doing, the atmosphere of our home got lighter. We’ve gone from saying, “I really appreciate……” a couple of times a week, to many times a day. He told me last night, as he walked in the door that he appreciated my friendly greeting. We’ve made a game of it. “No you don’t. That’s my job.” and we both laughed…. And I began planning. First we’re going to Ralph Waldo Emerson’s home in Concord Mass and then on to the Natural Living Expo (in Sturbridge) for the night, and I can’t tell you how excited I am. I love these plans, and so does Jack. Why not make this weekend an “Appreciation Fest” by trying to notice what is right, with everyone and everything you think about (including yourself) and if you’d like to, write these things here on the blog (as often as you’d like). Mary – what a great idea! It is a way to count your blessings, but with a different twist. This is a perfect idea for me to try with my husband. What a wonderful birthday you will have! Your birthday sounds ideal! Have a happy one! This is a wonderful addition to also focusing on what one feels grateful for in the course of a day. And it may bring some surprises when you apply the exercise to various people in your life. Thanks for this, Mary. Is Fred the only feline literati in your home? I loved this blog, Mary. Really gave me something to think about. Are you familiar with the book, The 5 Love Languages, by Gary Chapman. I’ve only read parts of it, but it seems to address the issue of people expressing their love in different ways, and gave me a new appreciation for my husband’s needs. Thanks for all your thoughts! Mary, I loved your comment about Jack not wanting a planned birthday celebration and you going ahead and doing it. Sounds like me. Years ago, not long before my husband and I were married, his 50th birthday fell three weeks after mine. Because we’re both Virgos (heavens to betsy, yes!) our birthdays fall in late summer and because we were at the cottage and our neighbour’s son, who is a minister, was visiting, I asked him to come to the cottage and give a blessing before we sat down for supper. When he walked into the cottage with his white collar on, my not-husband-then, had the shock of his life. Never sure what I’ll get up to next, he thought that I’d arranged for us to be married right then and there. The best fun was that all our guests realized this too, including the minister. And this week-end, I am going to appreciate the gift of the life of a dog I never expected to have, never asked for and yet, she came to live with us at the age of two having been shunted around between two breeders. She was our Ceilidh’s sister who died two years ago. Early this morning, she passed away as quietly and graciously as she had lived. She shared nearly thirteen years with us. Unassuming, undemanding, unconditional love and all from one beautiful Australian Shepherd named Hope. Ah, SandyP, I am so sorry to hear of Hope’s passing, although it sounds like it was peaceful. I know she had a wonderful home with you, and was loved by you as much as she loved you. Godspeed, Hope. Good job. so sorry to hear of hope’s passing. it’s always too soon no matter how long they’ve been with us. my thoughts to you of your great loss. my precious feline finners/findley who was a kitten rescue more than six years ago has disappeared. i’ve not seen him since 6am on thursday, yesterday morning. not like him, ever. i spent an understandabley sleepless night, hunted for him far and wide before dawn this morning, still no finners. still hoping for my little guy to show up. i hope it’s not too late. send thoughts. Ah, Sandy, you write so beautifully, especially about appreciating the gift of Hope’s life. I’ve had a series of older dogs, so have experienced a few passings over the past few years, and though I miss and mourn them when they go, I have also experienced huge gratitude and deep satisfaction in having given them great quality of life and much love in their older years. Thanks for sharing this lovely girl’s gifts with us. Sandy – I’m so sorry for your loss. How fortunate you were to have such a wonderful dog in your life for so many years. Best wishes to you. I’ve come to care about everyone here so much, Sandy, that as I read your post, I just teared up imagining you grieving your precious Hope this morning. Talk about a day for feeling full of appreciation. . . for her extraordinary nature, unassuming, undemanding (would that we could all receive such high accolades at our life’s end!) and most of all her unconditional love. Thank you for sharing too, that she came to you unbidden, – you never expected her or asked for her, but such a gracious gift came to you anyway. – I consulted my Dictionary of Word Origins on “appreciation” and found that its roots are “price”, value and worth. We talk about a stock ‘appreciating’; commodities are evaluated and given a price. But all those evaluations fluctuate. What is of true value to you, what is of great worth? What price would you pay in a non-monetary sense to never lose what is most precious to you? I imagine the word precious comes down to a ‘price’ root too. I appreciate our Mary who gives of herself and her wisdom and her time to this blog. We’re sort of like a garden she keeps on watering. Thank you Mary. Sandy, so very sorry for the passing of Hope. It sounds as though she went peacefully, on her own terms…my thoughts are with you. When we lost our black lab, Maverick, last Dec. this whole community was so supportive and loving. It was like receiving a big group hug. It was very healing. So in keeping with Mary’s appreciation weekend, I want to thank the flock for all the love and support in abundance here and Mary, I appreciate you every day for so many things. I really can’t imagine my life without you in it. Sandy, big hugs to you as you remember your sweet Aussie dog Hope. We have been adopted by several Aussies over the years and they have personality plus. Their absence can be the loudest sound in the house, it seems… Good luck and be well. Dear Mary, Beautiful, beautiful. Love is expressed in so many ways and this post is filled with it! Thank you for a fun and uplifting weekend focus…a most healing and powerful assignment. Sorry to hear about Hope, but you gave her the best gift of all, Love, and received it back ten fold I am sure. I appericate you, more than you will ever know, you are a part of my life each day, and make each day a little better. Mary – I appreciate you and the assignments you give us! Each blog you write makes me think and helps me to grow in so many ways. This weekend exercise is so timely – I am going to practice it primarily with my 16 yr. old daughter!! 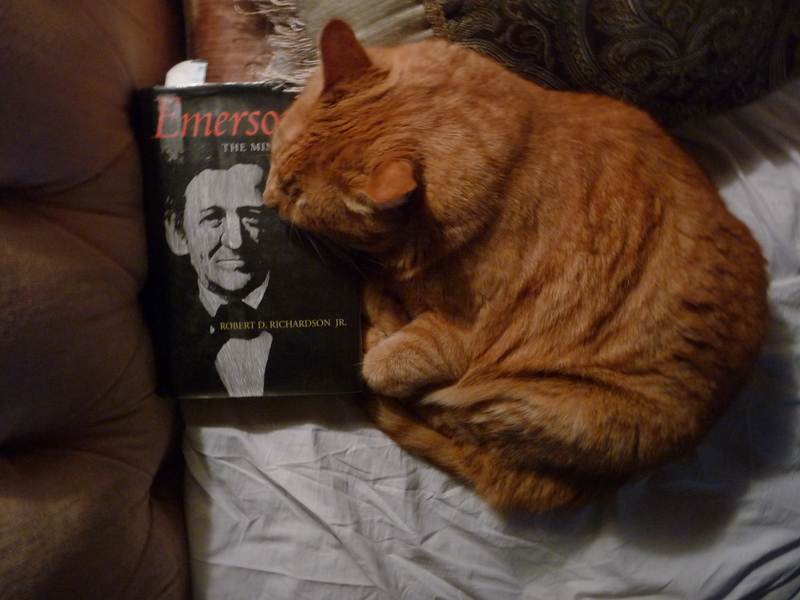 Wonderful and inspirational post, as always, and a special thank-you for mentioning the book about Emerson, which I will read! Mary, I enjoyed this post so much and could really relate to it. I only started reading your post a while ago and look forward to reading it now everyday. Thank you for your wisdom. This spoke volumes to me…..My husband and I are the same way….your blog made me see it from way outside of he and I. I’ve learned a valuable lesson from this. Thank you! Almost makes me want to have a guy around to practice this with! it is rejuvenated me !!!!!!!!!! Thank you. It makes one stop and think. 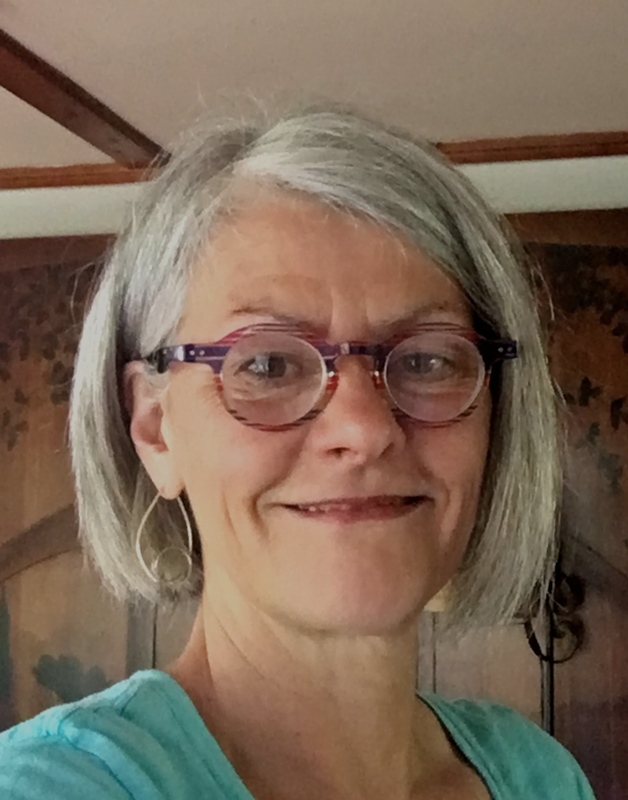 I’ll start this weekend’s homework assignment by telling you, Mary, how much I appreciate you and your thought-inducing essays, and telling the flock how much I appreciate them for their generosity in sharing their stories. My thoughts will be with you, SandyP, and I’ll take more than a little time to appreciate the Hopes I have been blessed to have in my life, too. Speedy recovery to your husband, Kathi although I imagine a shoulder is a very tender area and it may be slow. But our good thoughts are being sent your way! – love how you will find appreciation in your ‘odd crew!’ – that’s a good one! Shoulders are messy when they get messed up. Hope your husband will recover quickly! I loved your description of yourself…’silent lurkette’…; had me laughing each time I thought of it. Kind of reminded me of “The Addams Family.” Remember Lurch? He was always lurking, too! Since my birthday is next week, Sept. 18th, this post got my attention right away. I used to wait & see what others would do for me; let them surprise me, rather than tell them what to do. I was surprised when they did nothing or worse had the nerve to be absent or prsent but in a bad mood on my special day. Now I have a Plan B in mind which includes watching the Marigold Hotel movie that just happens to come out on Blue Ray on Sept. 18th. So in case my husband Ray is blue, I have a plan that will make me happy. Happy Birthday, Mary, Jack, me & all the other Sept. Bdays in the WFF family. Good for you, Mary Rita….having a plan of your own, just in case! At least you know your plan will be right up your own alley. A wonderful birthday from me (also a Sept. baby) to you! Earlier this morning I received an email from my husband that said he would be coming to GA tonight and maybe I could meet him at our lake house. I was already in my “thought you wouldn’t be here for the weekend sad face” so this came as happy and exciting news. I will let him know how much I appreciate all the travel he does to “come home” and spend time with me. Thank you Mary for such a wonderful suggestion…we all appreciate YOU!!! i appreciate so much the generosity of spirit on your blog, mary. thanks to all of us, what a gift. mine too, is a september b-day. i hope my finners-kitty comes home to celebrate with me. it’s been only 24+ hours since his disappearance so i am still looking for him. if it’s not meant to be then i am so appreciative of my anchor which i call soul and the support that i find on wwf. thanks everyone, may it be well for you, may it be well for me, and may it be well for all of us. Saying a prayer for Finners to find his way home. I know how wrenching it is to have a lost cat. And Sandy P, godspeed to Hope and may the gift that she was for so many years ease your hurting heart. Good luck, Virginia. I hope Finners is on your front steps as I write this. Virginia, I can feel the pins and needles you’re sitting on with your missing cat. Cats survive much better than dogs when out of their domestic setting but that doesn’t lessen the worry. I hope you’ll let us know what happens. That little guy’s comment has kept me chuckling all week. I sure appreciate him. Happy weekend, everyone. Kids and animals…full of surprises and full of fun! Sweet story, Kelly. You have a good weekend, too. Oh Virginia, I’m so sorry to hear of what you’re going through with Findley! It is awful when they go missing, and that’s just when your mind begins to conjur up the worst-case scenario. You will be in my prayers for peace in your heart and for Findley returning soon. My sister is visiting for a long weekend and for the first time has her ‘new’ dog, Tucker, with her. She had to put down her beloved lab, Roxy, last December and in January, Tucker, an older fella, “found” my sister at a shelter and it was love at first sight for both of them. So this is Tucker’s first road trip and visit after finding and adjusting to his new home. I appreciate the gift that they are to each other…you can see and feel their bond. Both healed by the unconditional love for and from each other. Beautiful to see…thank you Mary, for helping me to appreciate that! Hi Mary. Carol (and Mike) T here, childhood friends of Jack. We still have a beach place kinda/sorta near Concord Ma. Got time to stop in and visit/ stay? The ocean is beautiful this time of year. for all of you who sent your prayers, thoughts and intentions for finners my kitty-boy, thank you. how i appreciate all your energy. yes, he did return later today! though we scoured the orchard and under all the tall firs, everywhere we could think to look, we did not find him. he came home when he felt safe! we’ll never know what happened. though scared witless he seems to be unscathed, hungry, dehydrated and ready to use his box. oh joy for what could have been a very different ending. for those who love our animal family, we feel so deeply when they pass on or go missing. i feel so appreciated here and supported. may it be well for all of us this weekend, and evermore. Oh Virginia….that is fantastic! Thanks so much for letting us know! So happy for you, Virginia! Sorry I kept referring to him as Findley! I’m so glad he’s backe into your arms. I can feel your relief! Happy days. I recently saw an exhibit of photos called “Precious Objects.” The photographer asked people to bring in an object that had special meaning to them – he took their photo/portrait with them and their precious object. The person then wrote a brief explanation of what/why they brought their piece. Not only can you view the photos and the comments of what was in the exhibit, but you can also do more viewing of all the people that he photographed. There was a stipulation that it could not be anything live (ruled out all the pets and family members). He did not tell them what to wear either. I hope that you will find some time to look at this exhibit. It really packs quite a punch. I think this group AND of course Mary is where lots of our appreciation goes. I know I’m very grateful for what is shared here. Thank you for sharing this link, Mary. I truly enjoyed this exhibit. It has me thinking about what I would choose to display had I participated. this is a fantastic project/exhibit ! Thank you Mary for posting this! I appreciate your blog every day Mary. It gives me the confidence to start my day in a positive way. Thank you all for caring words about Hope. I know many people loose beloved family pets and many continue to love and loose them, over and over again. For me, I cannot bury my dogs quickly. I need to leave them for a few hours, to stroke them, to touch them, to tell them how much I’ve loved them and tell them too what their love has meant to me. But in death it also points to the fact that our bodies, their bodies, are simply the vehicle by which their spirits and ours, ride. Death happens in the blink of an eye and they are no more. The body becomes immobile, an empty house yet it is the spirit that lives on. Hope turned her soft brown eyes on me when she was struggling to breath and she seemed to speak to me. That I couldn’t stay beyond 2;30 in the morning stroking her head and her body, I regretted and still regret that she died alone. When I found her at 5:30 a.m. she had slipped away. As humans we place our human-thinking, human responses, on our animals but sometimes I wonder if there isn’t more ways of communicating with an animal than just with words. Sandy…Hope knew that you loved her and did your best to help her pass in peace. Perhaps she WANTED to go when she was alone, to spare you that moment of transition. Please, please don’t be hard on yourself. Her life was a gift to you and you gave back ten-fold. Celebrate that! So sorry for your sad loss Sandy P. My thoughts are with you. Glad your kitty returned Virginia! I know the pain as you both do too. Blessings of health to you, Cindy. All will be well. you’ve got a lot of love and prayers surrounding you. Appreciation is such a beautiful word that immediately re-focuses any relationship for the better. Thank you Mary so much for this post. Even though my husband passed away over five years ago, it still warms and calms me to stop and apprciate the 25 wonderful years we had together. And I love to see any and all efforts put forth to appreciate loved ones still with us. My sister who was suggested to enter the hospice program over six months ago is travelling here this weekend cancer free. Talk about obvious appreciations. And I greatly appreciate my three beautiful children and all they are. Your post made my heart sing, Susan L. Your blessings are abundant because of your appreciation! And isn’t it beautiful that that’s how it works. And, thank you, Mary, for your blog! I can’t tell you how many times you’ve been spot-on for me with your uplifting words! Have a lovely day!